In 2017 The Glades in Bromley asked us to devise, design and deliver a bespoke, stand-out Christmas experience for their shoppers that could be enjoyed this year and next. The brief had to reflect the results of detailed customer analysis carried out by the centre. 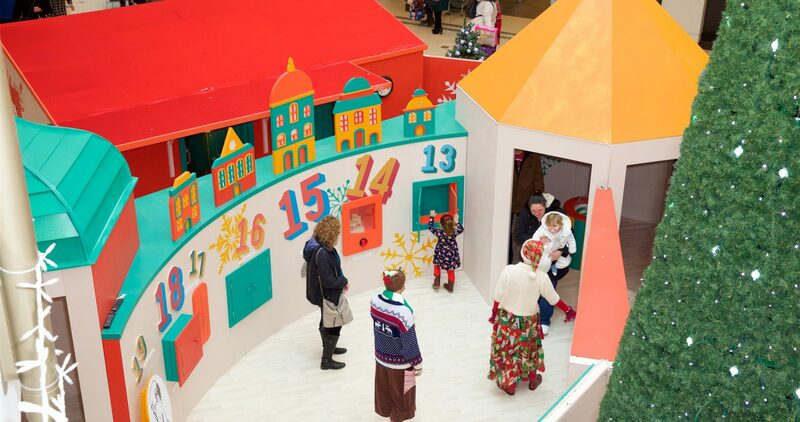 The Glades encouraged Bakehouse to think big with the build and the result was a giant walk-through interactive theatrical experience inspired by the 24 moments of surprise that children enjoy when opening their advent calendars in the lead up to the big day. Upon entering through door no. 1 into ADVENTure Land, children and families were invited to open a further 23 doors or peer through windows, turn dials or whisper into magical wishing tubes, until they opened the final door and met our wonderful Father Christmas! 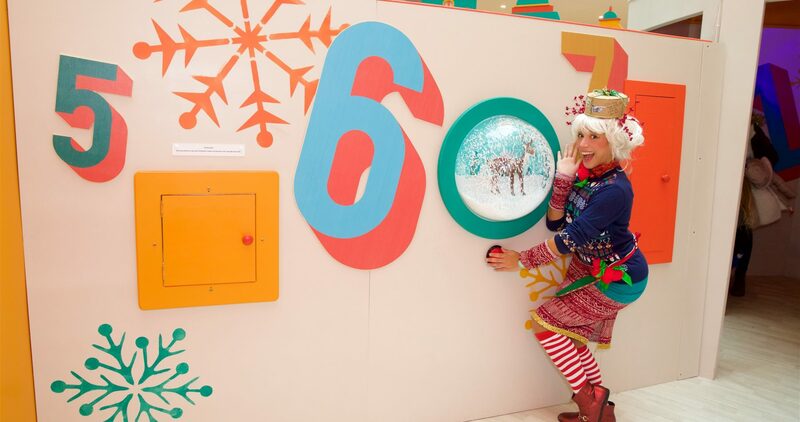 Each carefully thought-out and hand-made interaction on this advent calendar journey was designed to evoke a traditional Christmas moment – from a giant snow-globe to a plate of flatulent sprouts, from a join-in video game of charades to a traditional wind-up toy. Bakehouse worked closely throughout the project with the team at The Glades. More than 8,500 people were treated to a truly unique and magical Christmas experience. More than 204,000 doors were opened – that’s a lot of smiles created! We can’t wait to relive the adventure in 2018.